Illustrations: 9 b/w; 148 music exx. John Jenkins (1592-1678) was both the most prolific and the most highly esteemed of English composers in the fifty or so years between the death of William Byrd and the rise of Henry Purcell. After his apprenticeship Jenkins became renowned as a skilled performer on the lute and viol, once playing to Charles I ‘as one that performed somewhat extraordinary’. Throughout his long life he was employed as a resident musician in households of the nobility, where, as well as playing, teaching and directing the music-making, his duties included the composing and copying of music. At the restoration of Charles II Jenkins became a court musician, although, in view of his advanced age, he spent little time there. As a composer Jenkins preferred the medium of instrumental music, and he wrote little else. He came to maturity in the 1620s, when the consort for viols was enjoying its heyday. In later years he turned to the newer music then in vogue, such as the fantasia-suite and suites of dances, contributing significantly to their development, and he added fine pieces to the repertoire of music for bass viol(s) and for lyra viol, both solo and in consort. 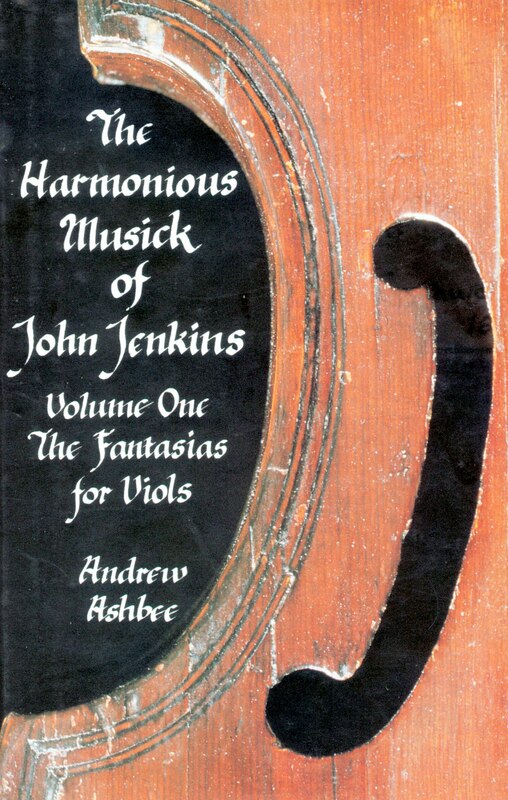 This book is the first in a two-volume study of Jenkins and his music. After a full biographical introduction, it concerns itself exclusively with the superb consorts for viols which dominate the early part of the composer’s career. Indeed, it is probably the first book ever published to deal only with music for viol consort. It is profusely illustrated with music examples, and virtually every work receives individual comment. After the quatercentenary of Jenkins’ birth in 1992 and with an increasing number of recordings of his music now available, this study will serve the awakened interest in his music as a major contribution in promoting the music of a man acknowledged in his time as ‘the ever Famous and most Excellent Composer, in all sorts of Modern Musick’.